And your tea doesn’t get lukewarm. Or maybe Carl chugs his tea. Amazing!! He really does remind me a little of my own pop, who I once saw catch a hornet in his bare hand and thought was quite tough. 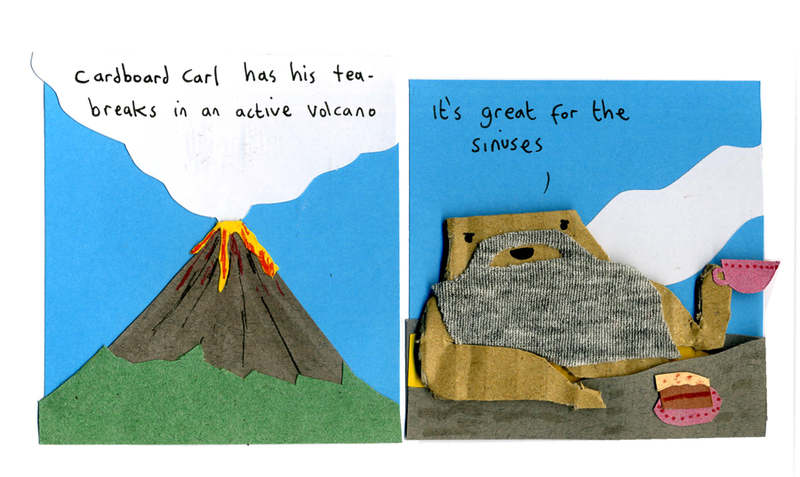 Strange, I thought Cardboard Carl would prefer iced tea – and by “iced”, I mean from a glacier, with rocks and dirt and dinosaur bones included. How does he not catch on fire? I suppose he puts the powder of crushed monitor lizards into his tea as well.